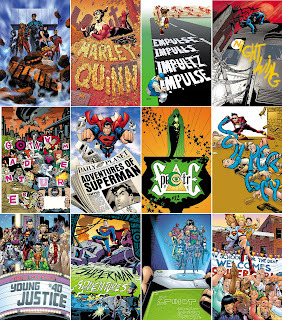 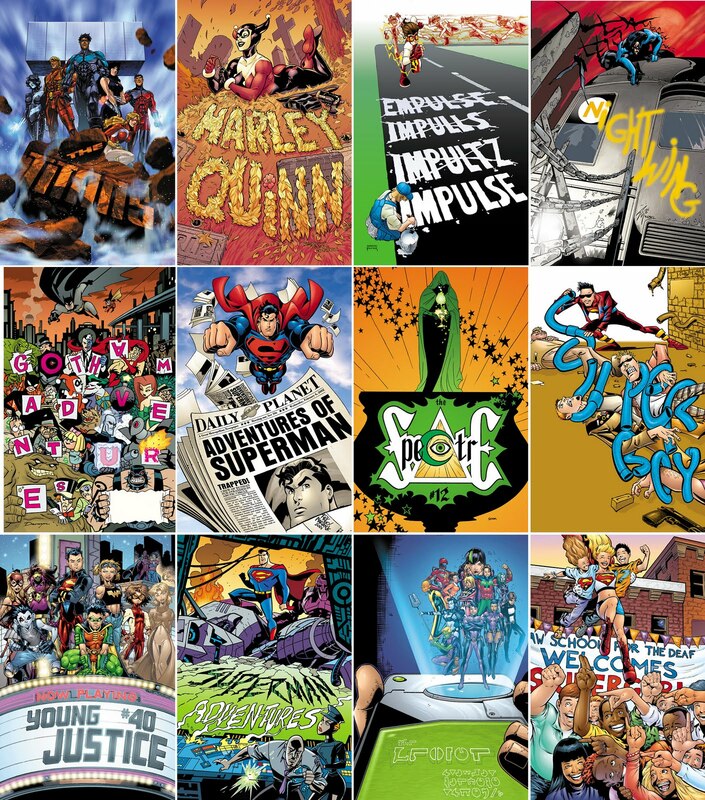 Jump in the TARDIS back to December 2001 and you will find the majority of DC's line, taking part in an experiment to work the title of the book, into the art of the cover, not just as a logo. 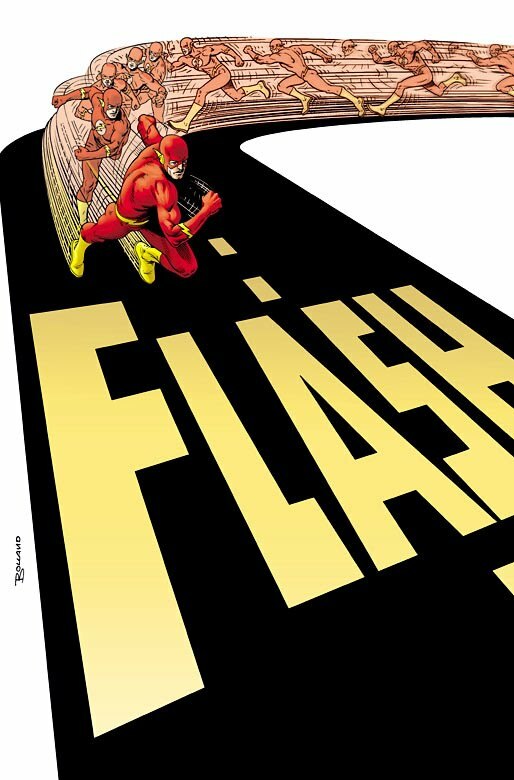 While the winner for me was undoubtedly Brian Bolland's The Flash it was a fun exercise all-round. 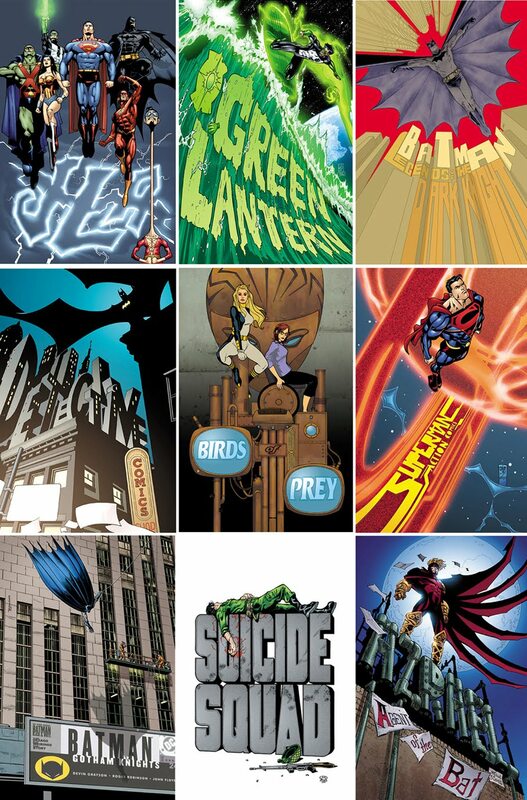 It created some great iconic shots like JSA and Green Arrow, and some humorous ones too - like Plastic Man straining to rank in the JLA and the Impulse homage to Brian's incredible design for the Scarlet Speedster. 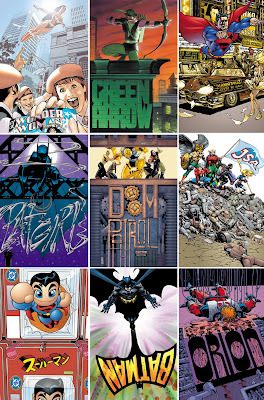 Checkout the whole selection (or as many as I could locate), below.